The paper industry produces a lot of pre-consumer waste that can easily be put to use in various ways. A group of scientists at the University of Jaén in Spain have come up with a way to turn paper industry byproducts into eco-friendly bricks. The production process for the bricks is less time-intensive than for traditional bricks, making them more cost-effective to produce. The process is surprisingly simple. 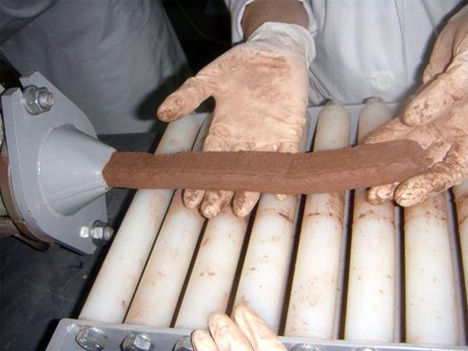 The paper waste is mixed with clay and with sludge left over from waste water purification, then the mixture is pressurized and extruded into long pieces. The long pieces are cut into small, brick-sized pieces and then fired in a kiln. All told, the bricks are great insulators but not quite as strong as traditional bricks. The team behind the development of the new bricks is working on fixing the problems inherent in making building materials from paper waste. 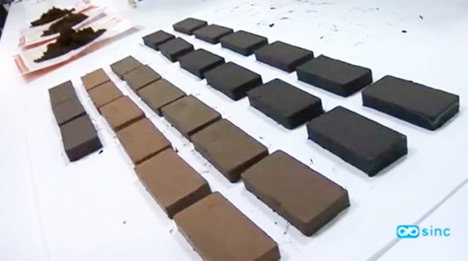 With the addition of other types of waste materials, they may eventually develop bricks that can compete on the same level as traditional clay bricks.